With immense natural beauty, Bled, along with its surroundings, ranks among the most beautiful alpine resorts, renowned for its mild, healing climate and thermal lake water. The beauty of the mountains reflected on the lake, the sun, the serenity and the fresh air arouse pleasant feelings in visitors throughout the year, guaranteeing an ideal base or a relaxing break or an active holiday. 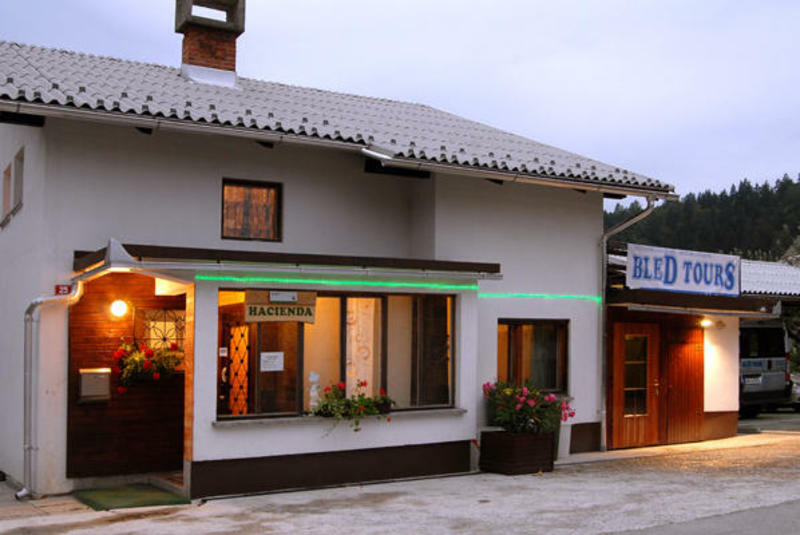 Hostel HACIENDA, sunny location, is located in the centre of Bled (400 m from the lake). The hostel has five different rooms, 18 beds (1 double bed room with a balcony, 3 four bed-rooms - one is with a balcony and 1 five bed-room), a kitchen and 2 bathrooms. Our hostel also has a big garden which you can use (badminton, football, volleyball etc.). Hacienda is a very convenient place for groups of travellers especially for younger guests as they can rent whole house and also use the comfortable PARTY ROOM in the cellar for birthday parties,celebrations or music events. The access to the internet is also possible. - 10% discount on your stay. Late Arrival on requests - additional payment 10 . Please note that the tourist tax in the ammount of 1,01 EUR is not included in the price. - At the end of street is our HACIENDA BLED . 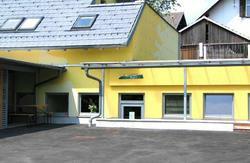 If you are arriving by train or bus, please call us and we will give you a free transfer to our hostel.